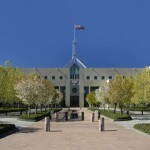 The Australian Capital Territory (ACT) has revealed its sponsorship criteria for workers wanting to emigrate to the state. The changes will have repercussions on Australian immigration for that area as some migrants choose to look towards other states for work. As well as taking those occupations off their critical skills list, the ACT Immigration Department will also be limiting all applications for sponsorship from Welfare Associate Professionals. The ACT sponsorship guidelines now state that the Australian Department of Immigration and Citizenship (DIAC) will allow unlimited sponsorship from what it calls ‘baseline lists’. These are lists of occupations that have been identified as being in demand in that particular state by the Department of Education, Employment and Workplace Relations (DEEWR). However in the recent changes a number of occupations have now been taken off that baseline list and added to the quota list instead. The quota list names occupations that are not deemed as crucial to that territory and are therefore issued with a quota of 500 sponsorships per year. Once the ACT has received 500 sponsorship applications that that occupation is deemed close until the next year. If you want to know whether or not the quota has been filled for one of these professions then you must contact the ACT government before you lodge your application. Any applications received after the quota limit has been reached will be refused, so to save yourself time and money, do make sure you check beforehand. If contacting the ACT by letter or email ensure that you attach your current CV and state clearly what your nominated occupation is. If you have taken an IELTS also ensure that you include your results. For more information on ACT state sponsorship guidelines visit the ACT skilled migration site. An immigrant who is a Computer Systems Auditor with 10 years job experience and is 32 years of age from Nigeria(English is spoken as the official language)with an IELTS total band score of 5.5,can he apply to be sponsored?